Lavinia BALAN obtained the PhD degree from the University Henry Poincaré in Nancy, France, in 2005. Her PhD was devoted to the elaboration of an original material for the anode of Li-ion batteries. After a post doctorate in Orleans and then in Mulhouse, she joined the Department of Photochemistry of Mulhouse in 2006 as a CNRS Senior Researcher. She opened a new field of research in this laboratory, viz. the photo-assisted synthesis of metal nanoparticles and metal-polymer nanocomposite. Since December 2009, L. Balan joined the Institute of Materials Science of Mulhouse (IS2M)-CNRS. She has published more than 100 scientific publications, 4 book chapters and 5 patents. Dr. L. Balan has been serving as an editorial board member for many scientific journals. 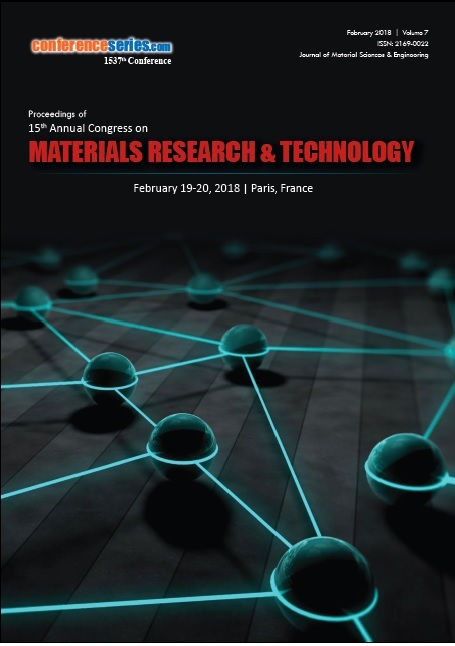 L. Balan research are concerned with photochemical synthesis of metal/polymer nanocomposites and photo-design of metal nanoparticles and nanocrystals (quantum dots) suited for advanced applications in the fields of optic, photonics, plasmonics, imaging or biology. Lucian Baia earned his Ph.D. degree in 2003 at the University of Würzburg, Germany. In 2003, he also began his academic career as a Lecturer at the Faculty of Physics of the “Babes-Bolyai” University of Cluj-Napoca, Romania. Since 2008, he is working as Associate Professor at the Department of Condensed Matter Physics and Advanced Technologies at the Faculty of Physics, and starting with 2012, he is additionally Senior Researcher at the Centre of Nanostructured Materials and Bio-Nano-Interfaces, Institute of Interdisciplinary Research in Bio-Nano-Sciences, “Babes-Bolyai” University, Cluj-Napoca. His current research focuses on the obtaining and characterization of nanoarchitectures and materials with controllable morphology and structure for environmental (photocatalytic) and biomedical (tissue engineering) applications. He is author or co-author of more than 130 peer-reviewed papers, three books, five book chapters, 4 patent applications, has an h-index of 23, and is serving as editorial board member for several scientific journals. Dr. Osman Adiguzel graduated from Department of Physics, Ankara University, Turkey in 1974 and received PhD- degree from Dicle University, Diyarbakir-Turkey in Solid State Physics. He studied at Surrey University, Guildford, UK, as a post doctoral research scientist in 1986-1987, and his studies focused on shape memory alloys. He worked as research assistant, 1975-80, at Dicle University, Diyarbakir, Turkey. He shifted to Firat University in 1980, and became professor in 1996, and He has already been working as professor. He published over 50 papers in international and national journals; He joined over 100 conferences and symposia in international and national level as participant, invited speaker or keynote speaker with contributions of oral or poster. He served the program chair or conference chair/co-chair in some of these activities. In particular, he joined in last three years (2014 - 2016) over 20 conferences as Keynote Speaker and Conference Co-Chair organized by South Asian Institute of Science and Engineering (SAISE), web: http://saise.org/, Science and Engineering Institute (SCIEI), web: http://www.sciei.org, International Association of Computer Science and Information Technology, web: http://www.iacsit.org/, The Academic World Education and Research Center (AWER-Center), web: http://www.awer-center.org/, and other institutes and companies. He joined as Keynote Speaker and Conference Co-Chair at 10 conferences held in 2017. Dr. Adiguzel served his directorate of Graduate School of Natural and Applied Sciences, Firat University in 1999-2004. He supervised 5 PhD- theses and 3 M.Sc theses. He is also Technical committee member of many conferences. He received a certificate which is being awarded to him and his experimental group in recognition of significant contribution of 2 patterns to the Powder Diffraction File – Release 2000. The ICDD (International Centre for Diffraction Data) also appreciates cooperation of his group and interest in Powder Diffraction File. Shape memory effect and displacive phase transformations in shape memory alloys and other alloys, molecular dynamics simulations, alloy modeling, electron microscopy, x-ray diffraction and crystallography, differential scanning calorimeter (DSC). Benny Danilo Belviso is an enthusiastic research fellow with a background in crystallography, structural biology, and chemistry. He completed Ph.D. in Applied Chemical and Enzymatic Synthesis at the University of Bari “Aldo Moro” (Italy) and has been research postdoc fellow at Centre for Biomolecular Sciences (Nottingham University) and Institute of Crystallography (CNR) where he currently works. He is expert of protein-ligand interactions, X-ray based analitical techniques and is involved in many interantional collaborations and projects related to drug design and biopharma industrial purification processes. He has published more than 20 papers in reputed scientific journals. Ramin Zibaseresht is a Professor in Chemistry at Maritime University of Imam Khomeini in Noshahr and Adjunct Professor at Aja University of Medical Sciences in Tehran. He received his B.Sc. in Chemistry from Shiraz University, his M.Sc. in Inorganic Chemistry from Pune University, and his PhD in Inorganic Chemistry from the University of Canterbury. He is currently the Head of Biomaterials and Medicinal Chemistry Research Centre in Tehran. He has published more than 50 papers in reputed journals and some international conferences and more than 10 books in the area of Chemistry. Prof Ramin Zibaseresht has been serving as an editorial board member of some peer-reviewd journals, academic book publishers, member of more than 10 academic committees, organizing committees and academic boards of international conferences. 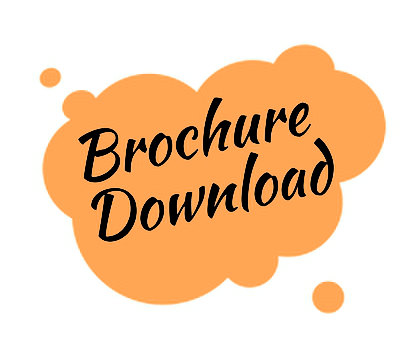 Organic Synthesis, Inorganic Metal Complexes, Inorganic Synthesis, Bioinorganic Chemistry, X-ray Crystallography, Single Crystal X-ray Diffraction, Extraction and Characterization of Marine Natural Products, Biomaterials, Medicinal Chemistry, NMR Spectroscopy, Mass Spectrometry. Zakaria Boumerzoug is a professor of metallic materials at Biskra University. He joined Biskra University in 1992. He obtained his PhD from Constantine University in 1998. He published fifty articles and he participated to more than thirty international conferences as speaker and invited speaker. He was as a member and also as a guest editor in some international conferences. He has supervised 17 PhD students. He has reviewed many articles of some scientific journals. He is a chief of an international project between Biskra University and UMONS University in Belgium. He has a short international teaching experience at Cadiz University, Spain, May 2017( ERASMUS Program). He has organised more than 10 scientific meeting in Algeria. Ullrich Pietsch was born in 1952 in Leipzig. received his Diploma as Crystallographer in 1978 at Humboldt University in Berlin.Supervised by Prof. Konrad Unger he received hid Ph.D at university of Leipzig in 1981. His habilitation was completed in 1988.During his Humboldt fellowship in the group of Prof. Peisl at MLU Münich in 1991/92 he became familiar with the use of synchrotron radiation. As Professor of Structure Analysis at University of Postdam in 1995 and later as Professor of Solid State Physics at Siegen university ( since 2005 ) he is using synchrotron radiation for structure analysis of crystals under external perturbation and for the analysis of structure to property relations of nanomaterials. Jordi Sort leads The ‘Group of Smart Nanoengineered Materials, Nanomechanics and Nanomagnetism’ (comprising around 20 researchers) as an ICREA Research Professor at UAB. After finishing his PhD in 2002 in the field of “magnetic interfacial effects” (Extraordinary Award), Prof. Sort performed two postdoctoral stays, at SPINTEC (Grenoble) and at Argonne National Laboratory. His research is focused on a wide variety of materials (thin films, lithographed structures, porous materials and nanocomposites) with emphasis on their magnetic and mechanical performance. 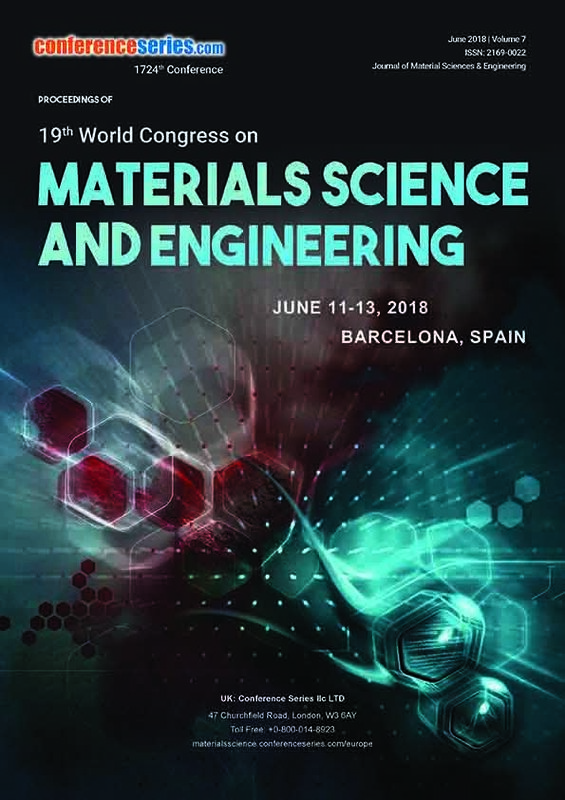 He received awards from the Catalan and Spanish Physical Societies as well as the Federation of European Materials Societies. At present, Prof. Sort has supervised 10 PhD Theses, has published around 265 articles (more than 6000 citations in ISI, h = 37), has issued 5 patents and has managed 26 national/international research projects, being Coordinator of an European Training Network (ITN) and a Consolidator Grant from the ERC. Dr. (Ms) T.Theivasanthi of Kalasalingam University doing research in nanomaterials / nanotechnology; has 14 years of teaching experience; published many research articles/ books and h-index 10; life member of Indian Science Congress Association and Magnetics Society of India; member of International Association of Advanced Materials; serving as Editorial Board Member/ reviewer for some scientific journals; lead editor in JNNN special issue (SAGE Publications, UK); achieved many awards/ honours/ recognitions including - Madurai Women Achievers Award - 2013, Motivational Award - 2015 and 2015 Women’s Day Award of St.Annes College; achieved World Record in LIMCA Book of Records-2015 for nanotechnology invention “World’s first superparamagnetic plants materials” – named “Santhi Particles”, World Record– 2016 for innovative products "The World’s lowest priced graphene" & "World’s Smallest Particles of Vegetables" and World Record– 2017 for the invention "The World’s Smallest Anti-Viral Plant Particles". Other innovative products- Superparamagnetic lead nanoparticles, semiconducting lead Nanoparticles, Low cost-mass production of graphene, agricultural nanofertilisers, vegetable powder for diabetes, plants materials for diabetes & psoriasis and nanoparticles for treatment of EBOLA, DENGUE, HIV & H1N1 virus infection. Govt. of India shows interests to develop her inventions for the benefits of public; since Dec-2014, she has delivered lectures (more than 105) in International / National scientific conferences, foreign countries and renowned institutes like National Institute of Technology, Anna University, Central University of all over India; she delivered Motivational Lectures for women, students and staff of institutes / Multi-national corporate companies (Cognizant Technologies); Artha Nyana Academy (Malaysia), Intelligent Society of Malaysia etc. NanoDigest, Economic Times and Telegraph have published news about her research; Thanthi TV, All India Radio, Minnal FM (Malaysia) and Bernama TV (Malaysia) have broadcasted her interviews. Di Zhang has received his PhD from Osaka University, Japan. He is now a Chair Professor of Materials Science and Engineering at Shanghai Jiao Tong University in China , the director of State Key Lab of Metal Matrix Composites at SJTU, and the Professor of Chang Jiang Scholars Program. Prof. Zhang has published more than 200 peer reviewed academic articles, 1 English academic book on morphology-genetic materials, and attended international conferences as invited speakers for 47 times. His works on bioinspired functional materials has been widely reported by many famous scientific media (e.g., “Discovery Channel News”) in the world. Hudson received his bachelors and masters degrees from the California Institute of Technology in Chemistry and Biophysical Chemistry respectively and his Ph.D. in Physical Chemistry from Harvard University in 1972. Hisx thesis research with Roy Gordon involved the computation of inelastic neutron scattering spectra and that with Bryan E. Kohler involved the electronic spectroscopy of linear conjugated polyenes. He is the author of over 200 publications and has served on NIH and NSF review panels. Dean Marija Gajdardziska-Josifovska is leading the Graduate School of the University of Wisconsin Milwaukee since January 2014. In 1993 she relocated from Arizona to Wisconsin to join the faculty of the University of Wisconsin-Milwaukee where she holds the rank of Professor in the Physics Department. In addition to her many teaching, research and outreach interests and activities, Dean Gajdardziska-Josifovska has extensive prior service in faculty governance, in the community, and in university administration. Early in her career she was elected by her colleagues to serve as Physics Department Chair; followed by service as Director of the Laboratory for Surface Studies, an interdisciplinary research center that includes faculty from Physics, Chemistry and Engineering. At Associate Dean level in the College of Letters & Science (L&S) she provided oversight for all functions of five Natural Sciences departments, the Honor’s College and the Pre-Professional (pre-med) programs; in the Graduate School and the new Office of Research she supported research and graduate education for seven schools and colleges, including L&S, Engineering, Freshwater Science, Nursing, Health Science, Public Health and Information Studies. She is a graduate of the 2009 Management Development Program of the Harvard Institute for Higher Education. Dean Gajdardziska’s interests in leadership for graduate education and research are rooted in her own studies that have spanned three continents. She received a B.Sc. in engineering physics from Ss. Cyril and Methodius University in her native Macedonia, where she also held a teaching and research position until 1987. Her undergraduate research experience in atomic and molecular laser physics in Grenoble, France, a city of scientists and skiers, launched her international research career. As the sole recipient of the annual Australian-European Graduate Award, she obtained an M.Sc. degree from The University of Sydney in the area of solar energy. At Arizona State University she obtained a Ph.D. in condensed matter and surface physics, followed by a postdoctoral fellowship at the National Center for High Resolution Electron Microscopy. Upon joining the University of Wisconsin-Milwaukee, Professor Gajdardziska became founder and director of the Laboratory for High Resolution Transmission Electron Microscopy, the only such lab in southeast Wisconsin. She was a summer fellow at Oak Ridge National Lab and an academic visitor of the Department of Materials at Oxford University. The interdisciplinary research that she conducts with her undergraduate and graduate students and postdocs has resulted in more than 130 peer-reviewed publications, 40 invited talks and 100 conference presentations, $2.3M in competitive extramural funding, and most recently one patent. She currently serves on the Editorial Board of Microscopy and Microanalysis (the journal of the Microscopy Society of America), and the Science Advisory Committee of Argonne National Laboratory’s Electron Microscopy Center. Marija Gajdardziska-Josifovska has received several awards and honors, including Fellow of the Microscopy Society of America (2014), Woman of Influence award of The Business Journal (2014), the Research Corporation Research Opportunity Award (2004), the White House/National Science Foundation Presidential Faculty Fellow Award (1995), the UWM Foundation Research Award (1998); preceded by awards during her student years including the Herman E. DeMund Scholarship (1990; one a year for ASU), Australian-European Graduate Award (1985; one a year for Europe), and the award for Best Undergraduate Student in Physics graduating between 1976-86. Marija Gajdardziska-Josifovska’s group uses atomic resolution transmission electron microscopy, diffraction, and spectroscopy methods to understand how the combination of ionicity and limited dimensionality leads to new physical properties and useful applications. Her research program aims to elucidate the stabilization mechanisms for polar oxide surfaces and interfaces by studying their atomic and electronic structures. The focus is on polar oxide systems with applications in energy, environment, and novel forms of electronics. Her group also works with a wide range of nanostructures, with recent work on hybrid nanosensors, based on oxide nanoparticles supported on carbon nanotubes or graphene sheets, and complex oxide nanoparticles with promising multiferroic properties. In the area of biophysics she collaborates with colleagues from the life sciences to develop targeted magnetic nanotechnology therapies for stroke and cancer, and to study naturally occurring magnetic nanocrystalline biominerals created by the iron storage proteins in plants and bacteria. She has contributed to technique developments in nanodiffraction, electron holography, reflection electron microscopy, and dynamical in-situ transmission electron microscopy. Her research has been supported by extramural grants from the National Science Foundation, the Department of Energy, and the Research Corporation, and intramural Catalysis, UW Milwaukee and Madison, and Research Growth Initiative grants. Dr. Gen Long received his BS in Physics from Shandong University, China and his PhD in Physics from University at Buffalo. He worked in GlobalFoundries (US) as senior integration engineer on 14nm FinFET technology before joined St. John’s University as assistant professor in Physics. His research area mainly focuses on the synthesis, characterization and device applications of novel metal and semiconductor nanostructures (nanoparticles, nanowires, nanorods, nanodisks, nanoplatelets, etc. made by solution-phase or gas-phase growth). He is an active member of APS, MRS, and AAPT. Dr. Long’s research interest are novel nanomaterial synthesis and characterizations, energy-related nanoscale device applications, as well as biomedical applications of magnetic nanomaterials . Dr. ZhiLi Dong received his BEng and Ph.D. degrees from Tsinghua University, China. Dong completed his Ph.D. thesis at Tsinghua University and Osaka University under the Joint PhD Program of Ministry of Education of China. Dong was trained as a materials engineer and scientist during his undergraduate and postgraduate study at Tsinghua University China and Osaka University Japan. He subsequently developed his research in the areas of materials engineering, crystal structure/electronic structure-property relationships, and interface structure analysis. He has about thirty years experience in x-ray diffraction and transmission electron microscopy of materials. Prior to joining the School of Materials Science & Engineering of Nanyang Technological University, Dong worked at the Environmental Technology Institute of Singapore as a senior research scientist, School of Mechanical and Production Engineering of NTU as a research fellow, the University of Barcelona as a visiting professor, and Tsinghua University as a lecturer. Dong’s research interest mainly focuses on (1) metallic and ceramics materials, and (2) crystallography, X-ray diffraction and transmission electron microscopy of materials. Dr. Osman Adiguzel graduated from Department of Physics, Ankara University, Turkey in 1974 and received PhD- degree from Dicle University, Diyarbakir-Turkey in Solid State Physics. He studied at Surrey University, Guildford, UK, as a post doctoral research scientist in 1986-1987, and his studies focused on shape memory alloys. He worked as research assistant, 1975-80, at Dicle University, Diyarbakir, Turkey. He shifted to Firat University in 1980, and became professor in 1996, and He has already been working as professor. He published over 50 papers in international and national journals; He joined over 100 conferences and symposia in international and national level as participant, invited speaker or keynote speaker with contributions of oral or poster. He served the program chair or conference chair/co-chair in some of these activities. In particular, he joined in last three years (2014 - 2016) over 20 conferences as Keynote Speaker and Conference Co-Chair organized by South Asian Institute of Science and Engineering (SAISE), web: http://saise.org/, Science and Engineering Institute (SCIEI), web: http://www.sciei.org, International Association of Computer Science and Information Technology, web: http://www.iacsit.org/, The Academic World Education and Research Center (AWER-Center), web: http://www.awer-center.org/, and other institutes and companies. He joined as Keynote Speaker and Conference Co-Chair at 10 conferences held in 2017. Dr. Adiguzel served his directorate of Graduate School of Natural and Applied Sciences, Firat University in 1999-2004. He supervised 5 Ph.D.- theses and 3 M.Sc theses. He is also a Technical committee member of many conferences. He received a certificate which is being awarded to him and his experimental group in recognition of the significant contribution of 2 patterns to the Powder Diffraction File – Release 2000. The ICDD (International Centre for Diffraction Data) also appreciates the cooperation of his group and interest in Powder Diffraction File. Osman Adiguzel'S research interest focuses on martensitic phase transformations and shapes memory effect and applications to copper-based shape memory alloys, molecular dynamics simulations, alloy modeling, electron microscopy, x-ray diffraction and crystallography, differential scanning calorimetry (DSC). Augusto Di Gianfrancesco has been employed at the Centro Sviluppo Materiali (CSM) since February 1983 until December 2014, as a Senior Metallurgist and Project Leader for High Temperature Materials. He was responsible for R&D activities on steels and superalloys for high temperature applications in power generation plants. He was also a member of Management Committee of EU Program COST 522-536, Co-founder of the European Creep Collaborative Committee (ECCC) and Co-founder of the Italian Working Group on Creep Resistant Materials. He is an author and co-author of more than 300 technical reports and more than 100 papers presented at national and international conferences. Currently, he is Materials and Technologies Consultant and Chairman of the ECCC. He is the Editor of the “Materials for ultra-supercritical and advanced ultra-supercritical power plants”, published by Elsevier in 2016. Eui Hyeok Yang is a full professor of Mechanical Engineering Department at Stevens Institute of Technology. He received his Ph.D. degree from Ajou University, Korea. After his postdoctoral training at University of Tokyo and at California Institute of Technology, he joined NASA's Jet Propulsion Laboratory (JPL) where he became a Senior Member of the Engineering Staff. In recognition of his excellence in advancing the use of MEMS-based actuators for NASA's space applications, he received the prestigious Lew Allen Award for Excellence at JPL in 2003. His scholarly leadership has been recognized by peers. Examples of these efforts include appointment as an Associate Editor and/or Editorial Board of several journals including Nature’s Scientific Reports, and election as the Division Chair of the ASME MEMS Division. Since joining Stevens in 2006, he has been responsible for obtaining competitive research funding from several federal agencies including NSF, AFOSR, US Army, NRO, NASA and DARPA (including 6 NSF and 3 AFOSR grants, and 5 NASA and 3 NRO contracts). Dr. Yang holds over 12 patents (issued or pending). Dr. Yang is the director of the Micro Device Laboratory, a Stevens's multi-user microfabrication facility. Eugene Mananga is a Faculty Member in the Physics Doctorate Program and in the Ph. D Program in Chemistry at the Graduate Center of the City University of New York. He is an Assistant Professor of Physics and Nuclear Medicine at BCC of CUNY, and an Adjunct Professor of Applied Physics at New York University. He completed his Ph.D in Physics from the Graduate Center of the City University of New York, and holds 6 additional graduate degrees and training from various institutions including Harvard University, Massachusetts General Hospital, and City College of New York. Eugene did his postdoctoral studies in the National High Magnetic Field Laboratory of USA, Harvard Medical School, and Massachusetts General Hospital. Prior to joining Harvard - MGH, Dr. Mananga was an “Ingenieur de Recherche” in the French Atomic Energy Commission and Alternative Energies (CEA-SACLAY-NEUROSPIN). Eugene has published more than 60 peer-review scientific articles (mainly as first and corresponding author) including major scientific journals such as Physics Reports, Royal Society of Chemistry, the Journal of Chemical Physics, the Journal of Physical Chemistry A and B, Chemical Physics, Journal of Magnetic Resonance, etc... and has been serving as editorial board member for more than 20 international scientific journals. He currently serves as the Editor-in-Chief of the Journal of Imaging Science and also serves the most prestigious position of "Chief Editor" for the editorial board of "The Scientific Journal of Molecular Physics". Dr. Eugene Mananga scientific contribution in the field of Nuclear Magnetic Resonance was honored during the 70th anniversary (1946 - 2016) of the Russian Academic of Sciences. Professor Mananga is the Laureate of 2017 Henry Wasser Award for outstanding achievement at the City University of New York. He was selected by the Academy of Humanities and Sciences for the prestigious 2017 Henry Wasser award. Theory of Nuclear Physics, Condensed Matter Physics, Atomic and Molecular Physics, Solid-State Nuclear Magnetic Resonance, Medical Physics, Radiological Sciences and Nuclear Medicine. Currently, he is focused on advancing theory, simulation and methodology in Solid-State Nuclear Magnetic Resonance, Spin Dynamics, Quantum Physics, Imaging Science, Medical Physics and Nuclear Medicine. Udo Schwingenschlogl is a Professor of Materials Science & Engineering at King Abdullah University of Science and Technology (KAUST), Saudi Arabia. He previously worked at the International Center of Condensed Matter Physics in Brasilia, Brazil, and the University of Augsburg, Germany. His research interests in condensed matter physics and first-principles materials modeling focus on 2D materials, interface and defect physics, correlated materials, thermoelectric materials, metal-ion batteries, nanoparticles, and quantum transport. 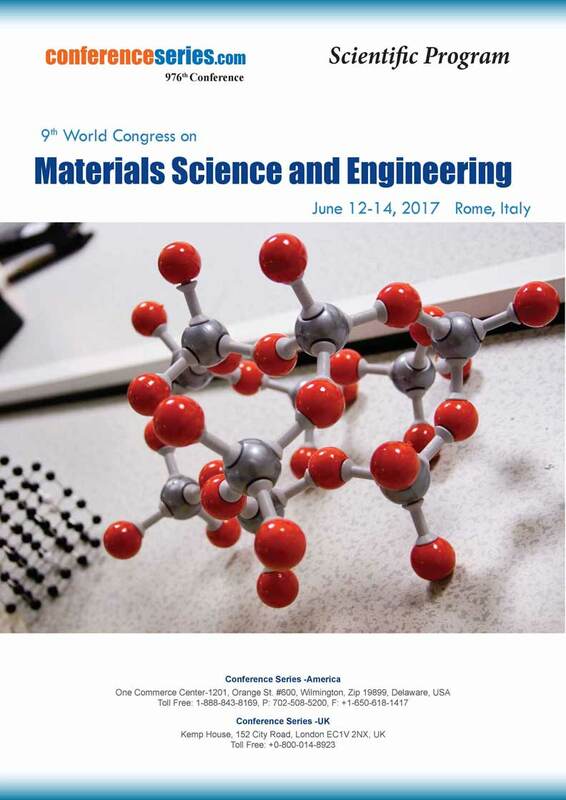 Condensed matter physics and first-principles materials modeling focus on 2D materials, interface and defect physics, correlated materials, thermoelectric materials, metal-ion batteries, nanoparticles, and quantum transport.